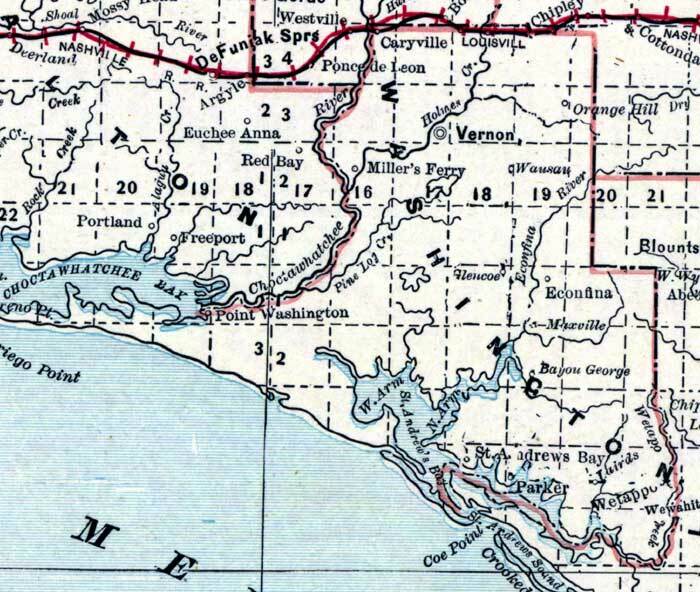 Description: This is a detail of a map of Florida showing counties, railroads, cities, inland waters, etc for Washington County. Each color represents a different route. The origin and destination for each route is found on the main map in an Explanation key. Features of this detail include Crayville, Saint Andrews Bay, and Wausau.